‘Blazing Star’ Review – Bonus! Bonus! Bonus! It could have been worse. 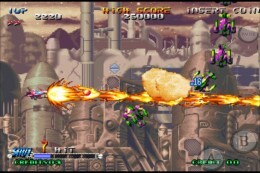 I could have set my sights on the Neo Geo AES, or Advanced Entertainment System, a home console based on Neo Geo’s arcade hardware, giving literal meaning to the term “arcade perfect." (If you’re too young to know what that means then get out of my article and off my porch. I also propose a haircut.) The $650 AES was a jewel for wealthy collectors, but unattainable to a humble paperboy. Plus, the cartridges went for $250 each. Each. No wonder Neo Geo’s mascots never caught on in the living room like Super Mario and Sonic. Fast forward to today and you can splurge on an AES and must-haves like Blazing Star ($0.99) for… well, right around the same price. Or, iOS gamers can snag the game from the App Store for three bucks. Welcome to the future. 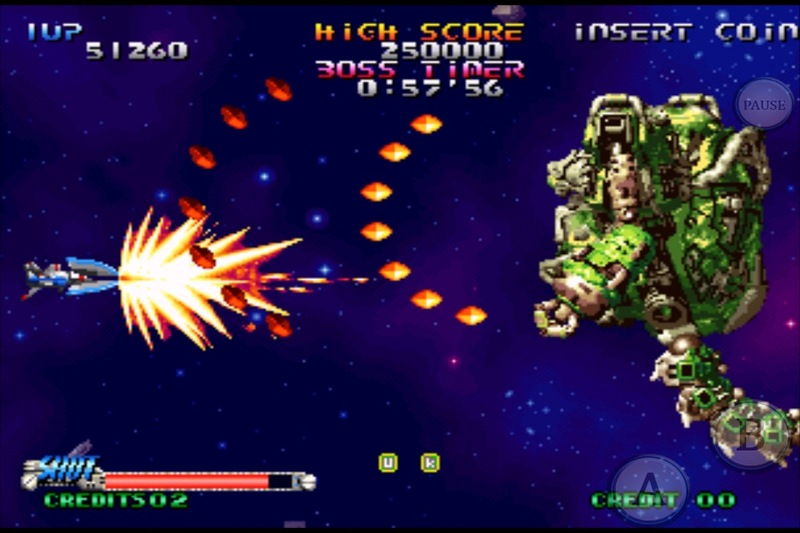 Blazing Star is a horizontal shmup with one goal: gun down all the things soaring and swooping and shooting at you. The game’s six ships pack a unique normal attack and charge attack–some more suited to offense, others built for defensive play. Mash the A button to spray your normal attack, or hold it down to build up a more potent charge attack. During each level, you collect power-ups that extend your attack meter, boosting your firepower. The Hellhound, my favorite ship, starts out spraying bullets but adds on rows of homing missiles and a wider wave of bullets. At full power, I could sit in the middle of the screen, tap fire, and lay waste to ships almost as soon as they dared materialize. 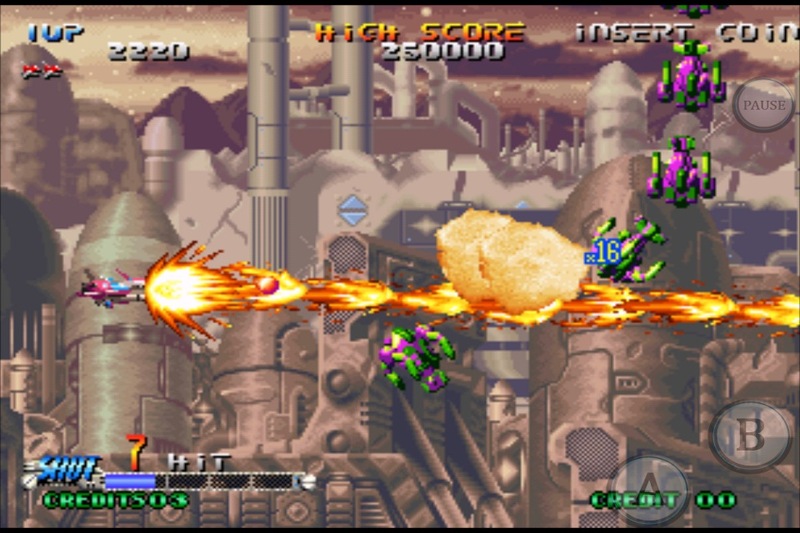 Being derived from a coin-op game that was designed to gobble your lunch money, Blazing Star won’t sit idly by while you power up and lay waste to its legions of enemies. A longer attack meter means more time required to charge up, and getting hit means losing a life and one bar on your meter. The ability to level-up ships, coupled with a finite amount of continues that you won’t need at first but will cling to from level three onward, inspired me to invest more effort in staying in one piece instead of mindlessly pounding on buttons as I do in most shmups. Strategic play, beautiful 2D backgrounds, and Japanese announcers who delight as much in rubbing your nose in each death as they do in rapturously shouting out your every accomplishment come direct from the game’s Neo Geo cartridge, but there are some new toggles exclusive to the App Store offering. Mission Mode lets you start on any stage you’ve cleared, and Bluetooth multiplayer lets you bring in a friend to reduce opposition to flaming scrap metal. It’s fun, but given the inclusion of Game Center, I would have liked an option to jump online and team with strangers when my friends aren’t around to play. The controls are the game’s only downside. 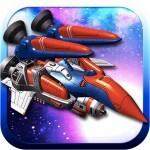 You pilot your ship using touch controls or a virtual stick. Even with each ship’s particular speed rating factored in, both control options feel sluggish; your ship will twist and dive for a few seconds before stalling out like it’s a clunker instead of a sophisticated vessel in an intergalactic war. This poses a problem, since like most shmups, the screen invariably clogs with enemies and bombs and lasers and chaos, making constantly readjusting your thumb one more thing to think about. You can mitigate the issue by steering with a forefinger or applying a lighter touch with your thumb, but that’s hard to do when the action heats up and you unconsciously grip your device. Joystick support is the most obvious fix, and our forum members are having some success playing on their iCades. Stuttery control issues aside, Blazing Star features some of the most intricate shooter gameplay you can find in the vast pool of shmups available on the App Store. The best part? Even paper carriers can afford to indulge.